It's no big secret that Huawei is essentially prohibited from doing business in the US smartphone market due to a seemingly never-ending trade conflict with China and mounting suspicions of spying, so when the company unveiled its latest high-end devices in Paris, we obviously didn't get our hopes up. 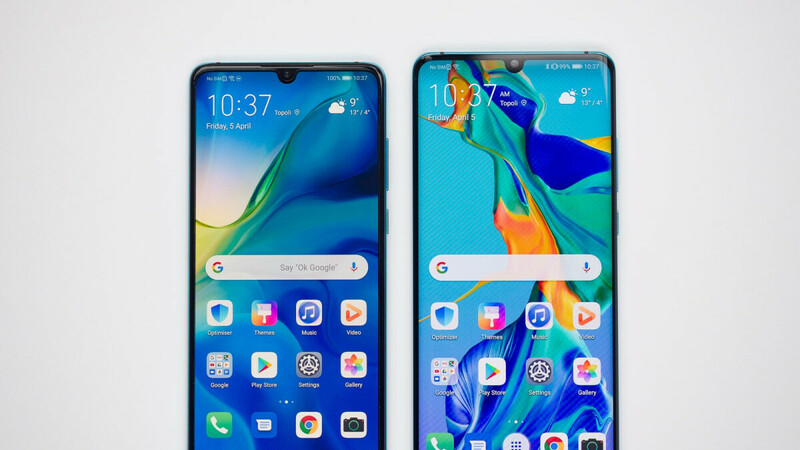 But while the Huawei P30 and P30 Pro are certainly not coming to any major US carriers, one pretty high-profile retailer around these parts is already accepting pre-orders for unlocked configurations of both models. Before you get too excited, we should highlight these are explicitly listed as variants designed for use in Latin America. That means they're technically imported into the US, just like P20, P20 Pro, Mate 20, and Mate 20 Pro units sold at decent prices on eBay. On the bright side, B&H Photo Video vouches for the full 4G LTE support of these bad boys on GSM networks like AT&T and T-Mobile. Verizon and Sprint's CDMA technology is obviously not compatible, and there's no information provided to early P30 Pro adopters regarding a US warranty. But surprise, surprise, the non-Pro version includes a limited 1-year seller warranty, which will no doubt be valid for the larger, beefier phone too. The $600 "regular" Huawei P30, meanwhile, substantially undercuts the $750 and up Galaxy S10e with "only" three rear-facing cameras on deck, 128GB storage space, 8GB RAM, Kirin 980 horsepower, a 6.1-inch OLED panel, the same under-display fingerprint sensor as its big brother, and a respectable 3,650 mAh battery. Both the P30 and P30 Pro are available in black, "crystal", and "aurora" paint jobs from B&H, with the former model scheduled to start shipping on April 29 and the latter vaguely listed as "coming soon" at the time of this writing. Don't wait too long, though, as orders will be filled on a first-come-first-served basis and something tells us initial supplies might be limited. Stock android = a lifeless world. It's looks and feels boring. I'll take lifeless and boring over spyware and malware plus whatever that cartoonish UI is called. Be assured that Larry Page and Serge Brin will protect your data and privacy to death. Because the Co-Ceo loves iOS. She's using an iPhone 7 and a maccbook, but not her own products. She also uses a Huawei Mate 20 RS Porsche Design, apparently that is the only Huawei product she had at the time. If he's an iOS user...I'd say probably not. $600 P30 enters OnePlus' territory. Great value. Yeah but it doesn't really compare to the vastly superior OnePlus. It is really compare with 1+ crappy camera. I don't think anyone would agree that the Oneplus is vastly superior in any way. Well, I agree. However, I never used any Huawei phones. Maybe this would be a good phone to start. Only $900 for the 256gb model. Shoot that's a good deal compared to competing flagships. Quite unexpected, but for $600 P30 is much much much better purchase than S10e (not to mention regular S10). Great job, Huawei! There's always a reason why it is cheaper than what samsung offer. You will feel that difference when you use samsung before then go huawei in a long run. Are you going to import one of these spyware is the question I need an answer for from you.